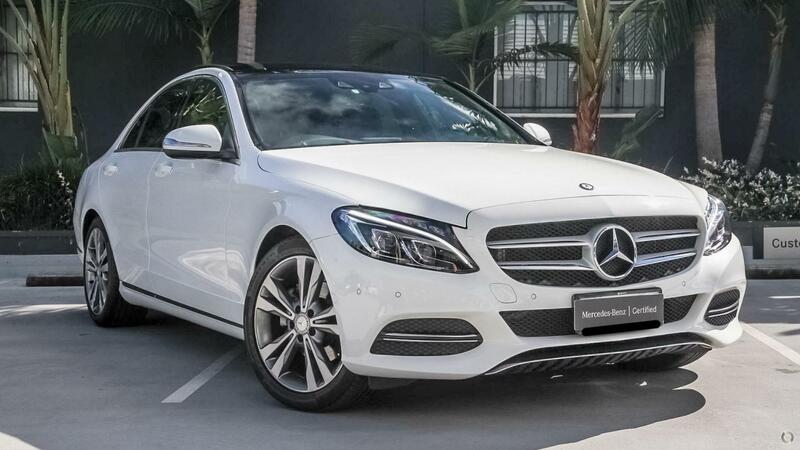 This Certified Mercedes-Benz C200 sedan is finished in Polar White with Black ARTICO upholstery. Standard features include Navigation, Keyless start, DAB digital radio, electric front seats, dual-zone climate control, LED headlamps, rear view camera with front and rear sensors and so much more. This Certified C200 also features the Vision Package, comprising of a panoramic glass sunroof, head-up display and adaptive high beam assist. Combined with the already standard blind spot assist and Collision Prevention Assist Plus, this C-Class ensures you'll be at the forefront of technology. To ensure you are covered by a comprehensive after sales experience we offer a factory backed 2 Year Mercedes-Benz Certified Warranty and 2 Year Roadside Assistance.